Today's prompt was to use a collection in your art piece.... but I really don't collect anything. 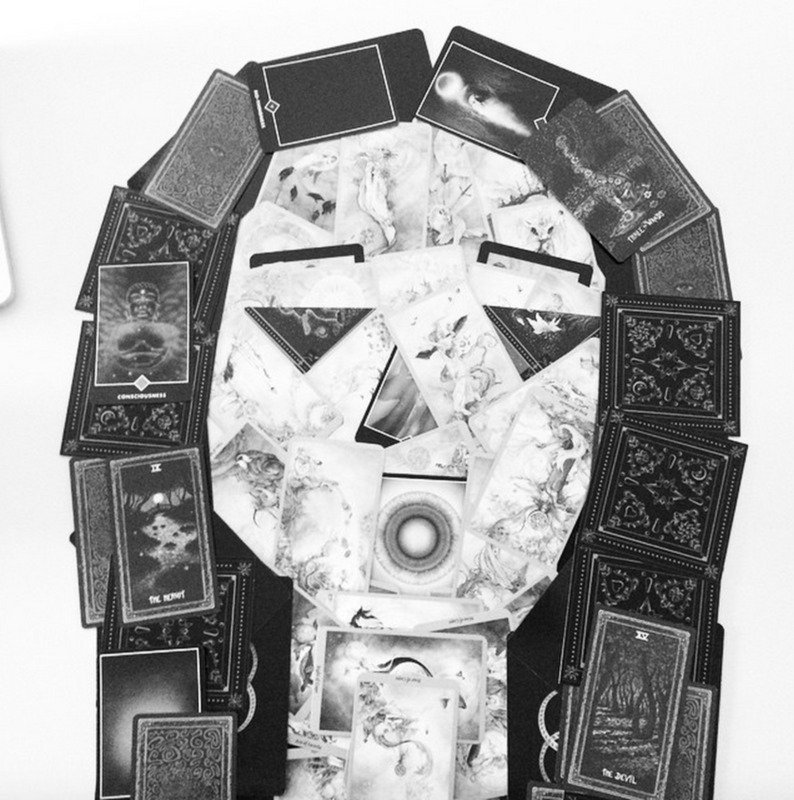 Then I remembered that I do collect Tarot Card decks so I assembled this face using some of them. 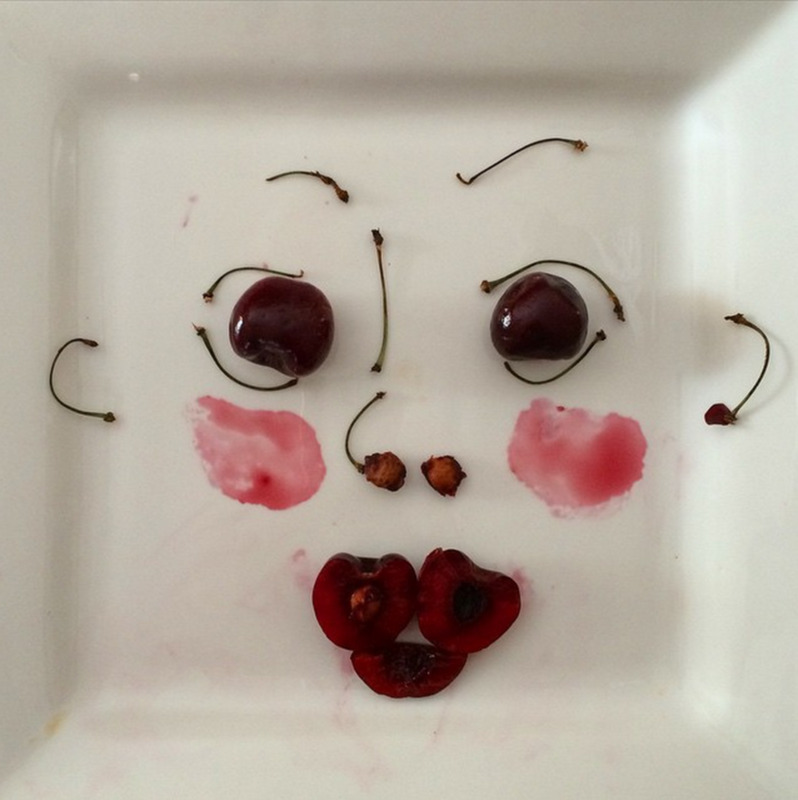 My prompt for today was to use the first fruit or vegetable that you see, so I chose these sweet dark cherries to make this pink cheeked face. I strayed from the prompts today. I decided to draw with my pen only, no sketching ahead with pencil. I also wanted to do a few different styles of face, so I went with this totem design. I had very little room left for the face on the bottom, and I kept picturing a turtle holding up the world (like the Meso American creation myths) so I decided to draw the bottom guy with turtle shell hair and a beaky nose. I'm really diggin' the 60's style background I added! 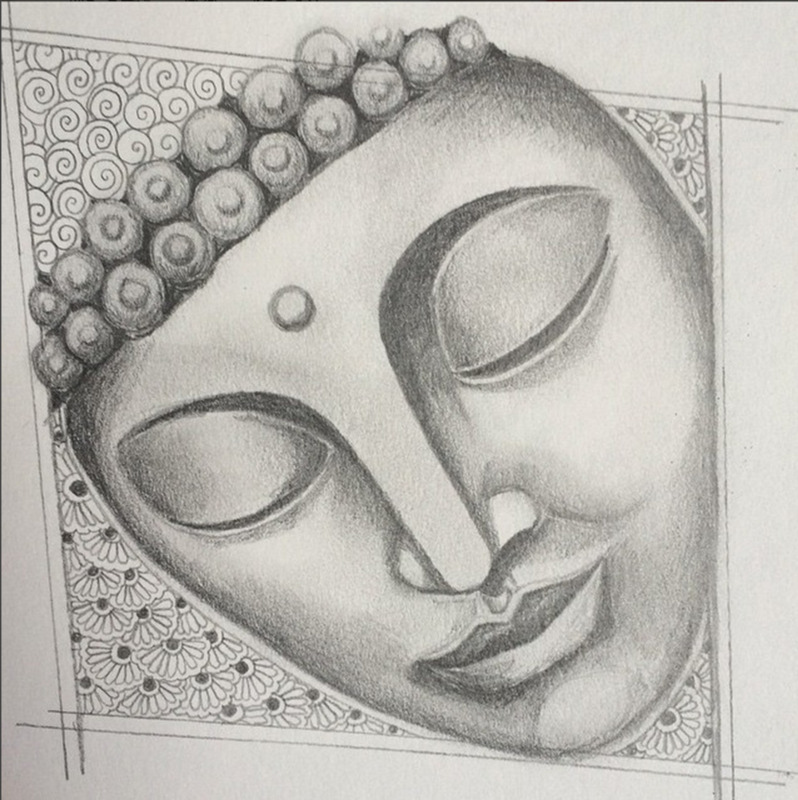 Today I did a pencil drawing of a sculpture of Buddha.